December | 2014 | Knit & Run! December 2014 – Knit & Run! So this came in the mail today. It looks like three digits and a decimal point, right? No, it’s more than that. It’s the sum of the mornings I got up pre-dawn for a long run. It’s the runs I did after work, trying to fit in the training miles when time was a commodity I didn’t have. It’s the gallons of water I drank, and the pounds of healthy food I ate to get my body ready. It’s the number of running shoes I went through on all those training runs. Only one pair went with me to the race. The rest gave their all to get me there. It’s the number of times I thought I was crazy. It’s the number of times I felt invincible. I still can’t believe it’s real. I earned this. I worked for it, and it’s mine. 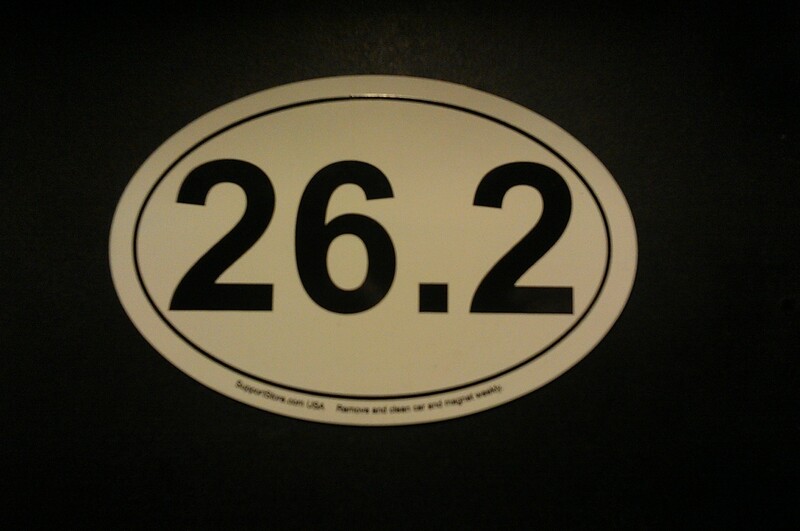 Someone can steal my car or my magnet or (God forbid) my medal, but no one can take from me the knowledge that I did it. And I can do it again. NYC Marathon, you got next.